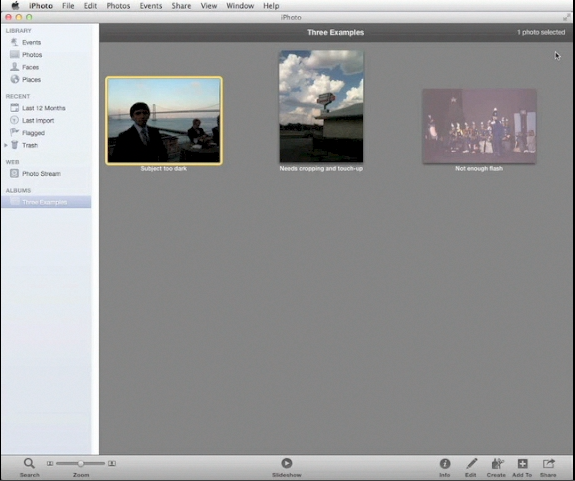 Episode 1 of a three-part series on using iPhoto on a Mac to fix bad photos. This installment: fixing pictures that are too dark. Click the image below to watch my video tutorial. I forwarded your blog about dark photos to my MAC friends. They were helped a great deal by watching and following your instructions. Please do more videos. Thanks, Denise's Mom! Glad I could help. More videos on the way, maybe this week!